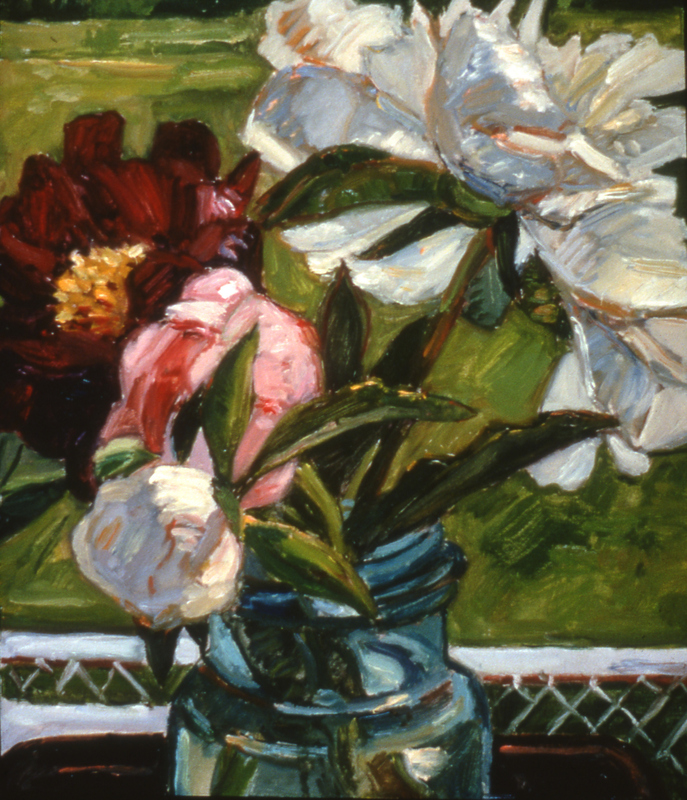 Sharon Yates | Peonies No. 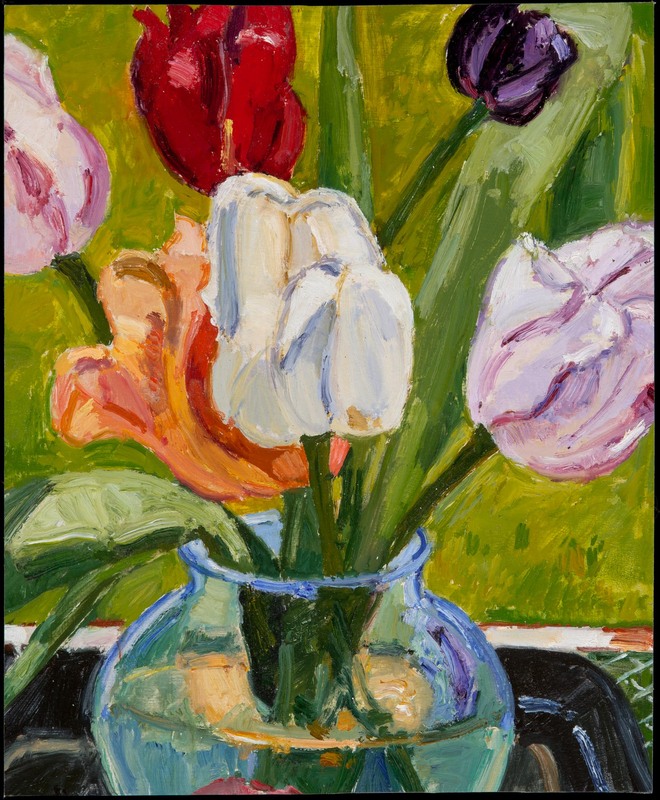 3 | oil | 10.25" X 8.5"
Sharon Yates | Tulips, 2014 | oil on panel | 9.5" X 10"
Sharon Yates | Tulips 2017 | oil on panel | 10.25" X 8.5"
Sharon Yates | Twin Brooks | oil on panel | 9" X 10.5"
Sharon Yates | Daisy no 2 | oil | 8" X 10"
Sharon Yates | The Old Lady | oil on panel | 8.5" X 10"
Sharon Yates | Twin Brooks No. 1 | oil on panel | 8.75" X 11.75"
Sharon Yates | Brown's Place | oil on panel | 8.25" X 10.25"
Born in Rochester New York, painter Sharon Yates received a BFA from Syracuse University and an MFA from Tulane University. 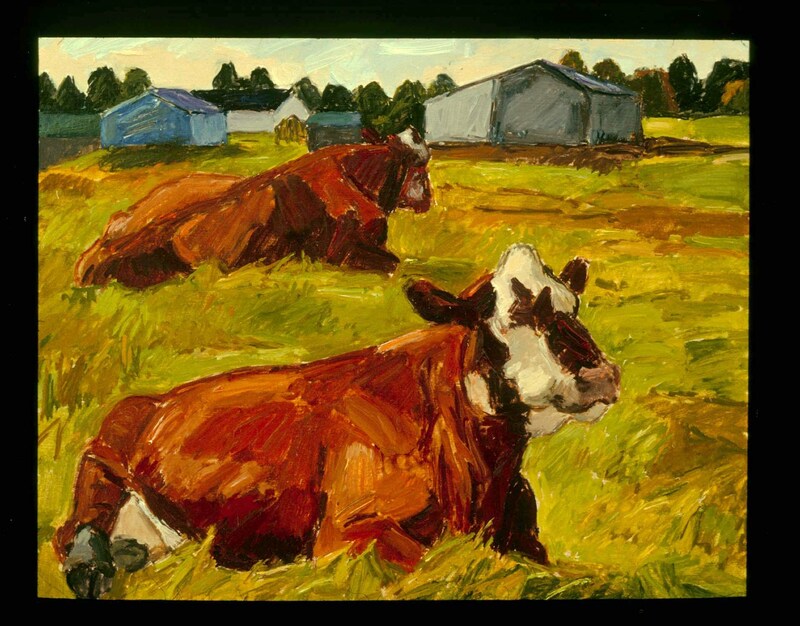 She taught at the Maryland Institute College of Art for decades and directed MICA’s summer landscape program in New Brunswick, Canada until retirement in 2008. By 1986 she had reduced her teaching commitment and established a permanent residence in Maine. 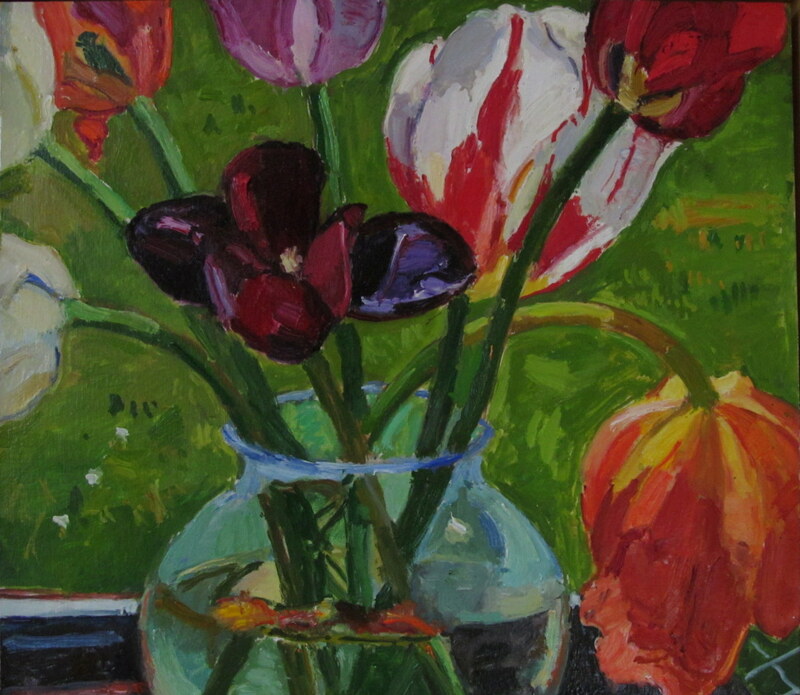 Her paintings have been exhibited nationally and won her several awards including the Prix de Rome, an Ingram Merrill Foundation Grant and the Shatalov Award at the National Academy Museum& School, NYC, where she is an academician member. 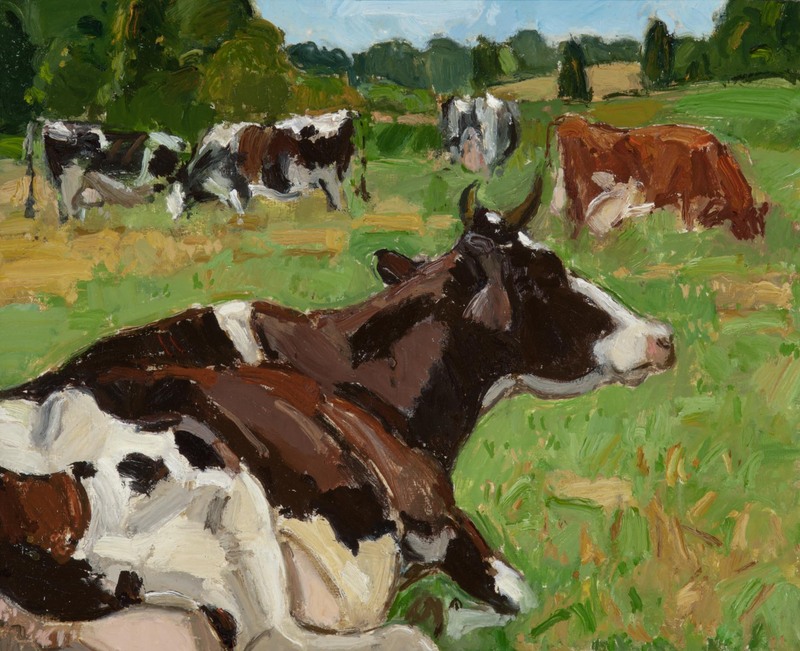 Recent exhibitions include Maine Farmland Trust Gallery, Belfast,ME; Thos.Moser Gallery, Freeport ME; Elizabeth Moss Galleries Falmouth, ME; Whistler House Museum of Art, Lowell,MA; LC Bates Museum, Hinckley, ME; Frost Gully Gallery, Freeport ,ME; University of New England, Portland, ME; University of Maine at Machias, Colby CollegeMuseum of Art, Waterville,ME; Bowery Gallery,NYC; First Street Gallery,NYC; DowlingWalsh Gallery, Rockland,ME; Zeuxis Traveling Exhibition(Prince Street Gallery,NYC; MICA Baltimore,MD); June Fitzpatrick Gallery, Portland,ME; Bates College Museum of Art, Lewiston,ME; and Center for Maine Contemporary Art, Rockport, ME. 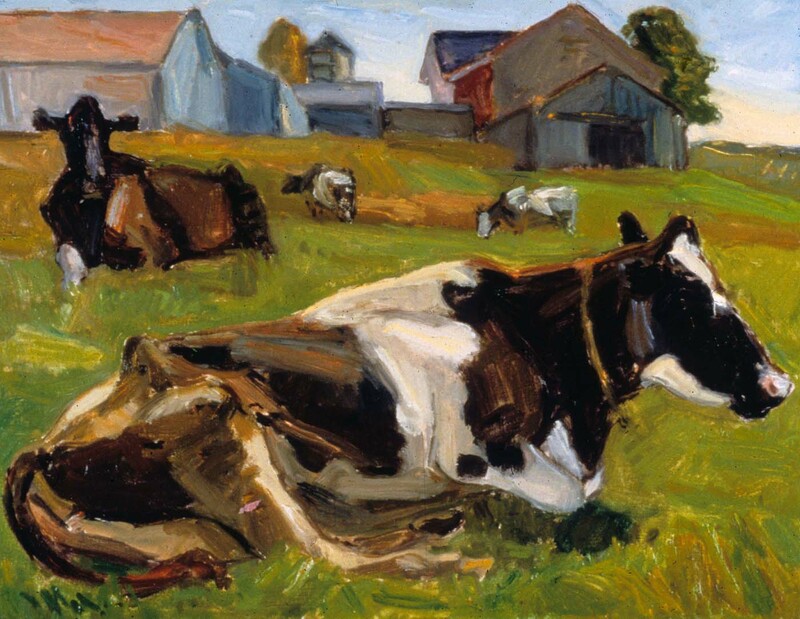 Public collections include: Bates College Museum of Art; University of Alberta, Canada; National Academy Museum and School,NYC; Yale University Art Gallery; Oklahoma City Art Museum; United Technologies; University of Louisville,KY; Tides Institute,Eastport,ME; University of Maine at Machias. Her work is published in two books by Alan Gussow: A Sense of Place, The Artist and the American Land and Artist as Native:Reinventing Regionalism; The Virginia Landscape by J.CKelly and W.Rasmussen,2000; and American Artist Magazine Feb 2011. An upcoming 2017 solo exhibition of her paintings will be held at Elizabeth Moss Galleries, Falmouth,ME. She lives and works in Lubec,ME. "Out in the cow pastures, barnyards and woods or in my flower garden with painting gear in hand, I am immersed in a variety of unexpected natural changes. Choice of subject depends on the season and the weather which is a welcome distraction from too much intellectual planning. 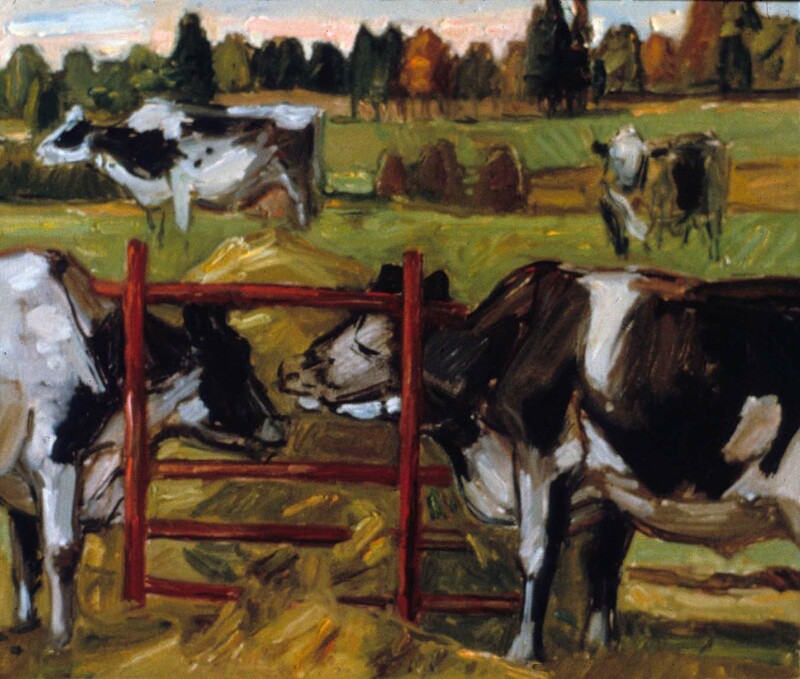 More than anything, I love to study angular cows and sensual flowers illusive as they are; they give me the desire to paint. In the course of a day I am tracking changes in light, color, form and landscape spaces resulting in a free wheeling composite of what is here and over there. 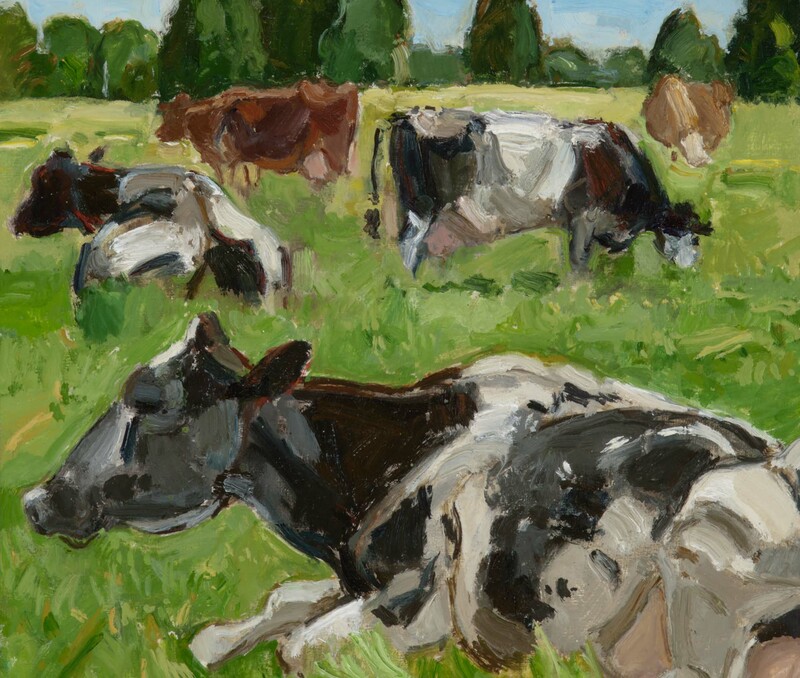 Up close observation of settled cows con-trasting with those on the move or flowers subtly repositioning in the breeze set against glimpses of my yard seem to satisfy my penchant for adventure and the mood of the day. I prefer not to use preliminary drawings or photographs which would remove the force of immediacy that takes me to some surprising decisions otherwise not imagined. Added to the things I see out there are sounds and smells that find their way into the feel of the painting. To paint fast and not rush is the trick as I strive to re-solve the painting before dark. Painting directly from my subjects gives me a living experience with nature that compares to nothing else."